Casual Print Sweater so pretty and perfect for Christmas time. Less then $11! Suede Boots With Lace Up Design All thes above things are less then $10. I love all their Christmas items, and their sweaters are festive but still cute. 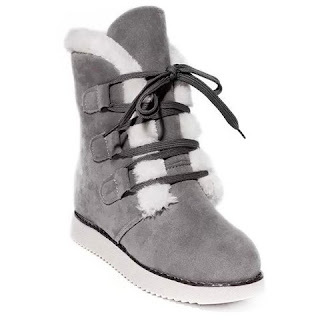 The prices are so much more affordable then your other clothing sites. There are so many items to choose from you will have a hard time pickng just one or two things. 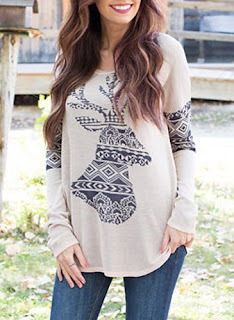 I love this Elk Print Christmas Sweater. Elegant Hollow Out Lace Spliced Long Sleeve Solid Color T-Shirt For Women All of these tops are perfect for the Holiday season. I plan on picking all of them up because they are so cheap. And the makeup too is high quality and under $10.